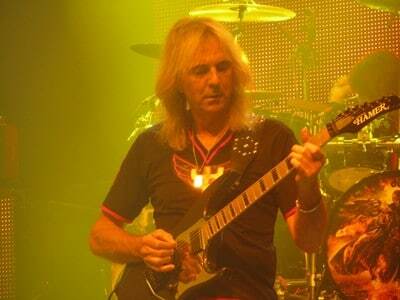 Sad news in the Judas Priest camp as long-time guitarist Glenn Tipton is suffering from Parkinson’s Disease and is unable to fulfill his guitar duties during the band’s upcoming tour dates in support of its new upcoming studio album Firepower. Recently, Mr. Big‘s drummer Pat Torpey passed away at at the age of 64 due to complication with Parkinson’s Disease. Tipton is currently 70 years old.